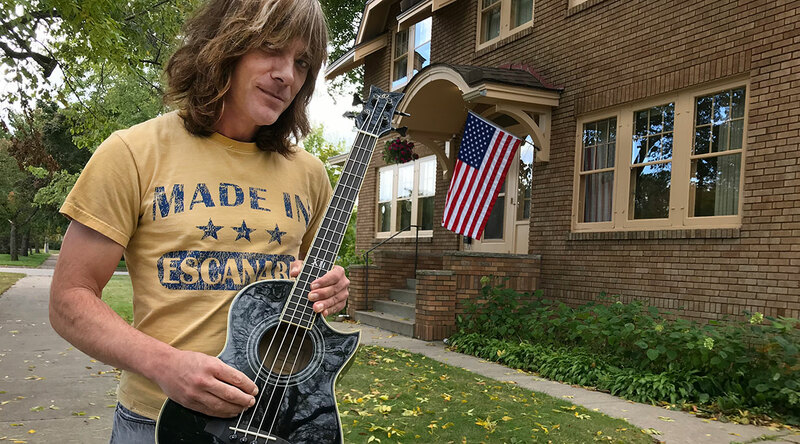 ESCANABA — Kevin Chown says his appearance on a reality TV show in Sweden gave him a new appreciation of his Swedish heritage. Chown was chosen to appear on the popular television show called “Allt för Sverige” or Everything for Sweden. He said it was one of the toughest thing he has ever done. “When you isolated people away from their cellphones you really do strip people down to who they really are. And then you film it. It’s quite fascinating to watch how people deal with learning in real time,” he said. Chown reached out to producers of the show when he learned about it while living in Los Angeles. He ended up as part of the cast with nine other Americans. During the show, he says he gained a new appreciation of the struggles his relatives had as they immigrated to the U.S.
“We might rush to thinking that our families just kind of had this normal structured background. But, I think what I realized was my family left Sweden because they wanted to survive. Sweden in the 1800s was not a pleasant place. I didn’t really look at my family as immigrants that way before,” Chown said. A musician who travels the world, Chown said it’s important to remember where one comes from. He is proud to say he is from Escanaba. He often wore his Made in Escanaba t-shirt while on the show. “I’ve been to a lot of beautiful places in the world. I’ve never been to a place that’s better than Escanaba, Michigan,” Chown said. He travels the world as a bass player for Finnish singer Tarja Turunen. The eight-week show begins to air in Sweden in September. Share the post "Escanaba native takes love of U.P. to Swedish reality television show"